I've used a handful of different latex barriers over the years for nail art, but until now I didn't know that a mainstream option was available. Edge Perfection reached out to me recently for a test and review, and I knew I had to give it a try. 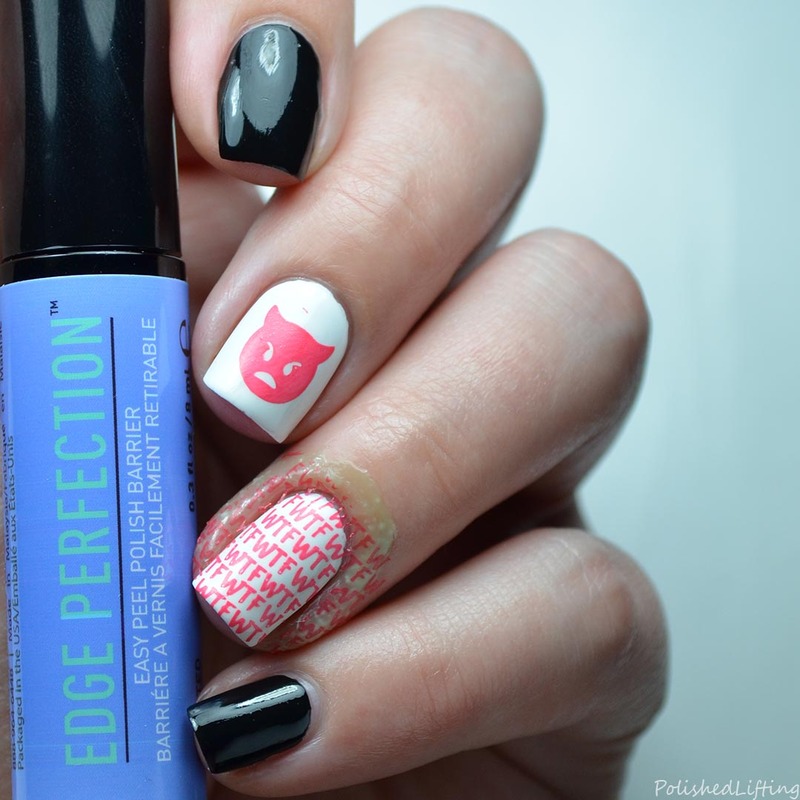 Edge Perfection is a latex based nail art barrier that is 5 free, ammonia free, and thiuram free. This means no awful smell when you go to use it! I really wish you guys could see the Edge Perfection packaging in person because the diagram on the Edge Perfection box sparkles. They put cute little bits of glitter in the graphic and font that twinkles when you move the box around. Work on 1-2 nails at a time if you have a habit of touching the sides of your fingers together. 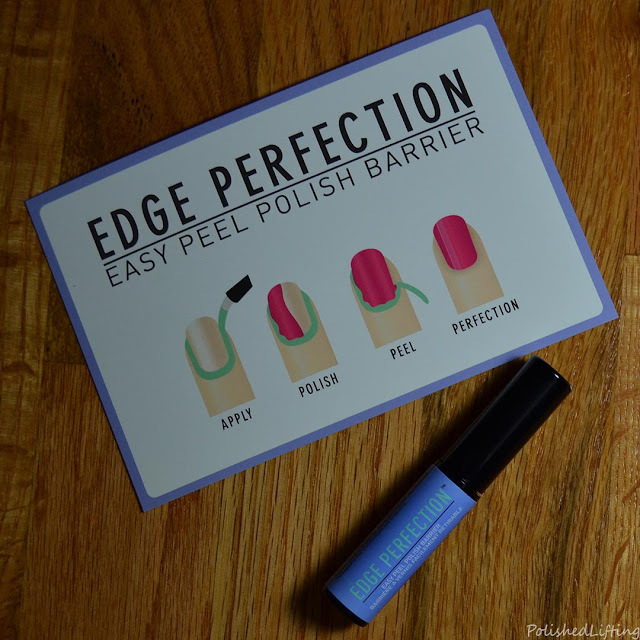 Edge Perfection will stick to itself, so if you touch two surfaces coated in Edge Perfection it will pull up the barrier. 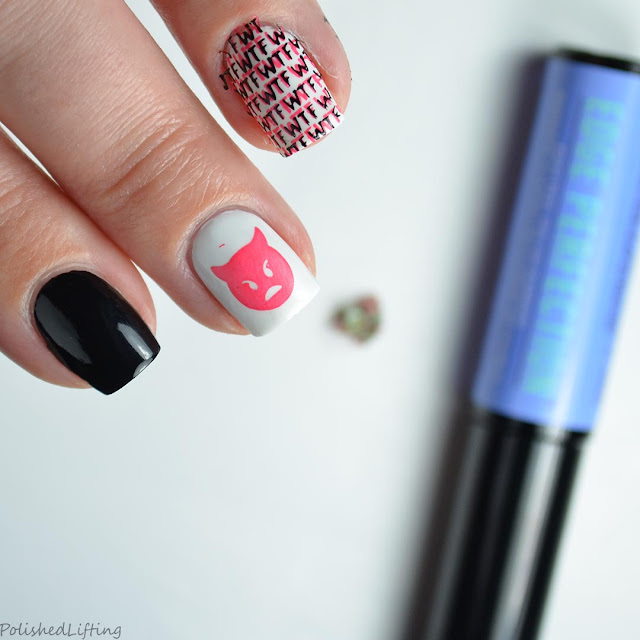 Do not try attempt nail art or try to remove the Edge Perfection barrier before the barrier has fully dried. This can seriously ruin your mani. Use a small amount of acetone to clean around your cuticles and side walls before removing Edge Perfection. While I did not strictly adhere to the Edge Perfection "Good to Know" tips, I found the application to be straightforward. I applied Edge Perfection as a barrier for my nail art, waited for it to dry, and then stamped over the protected finger with my desired design. I put this to the test on my saltiest of nail art days. I figured if it could stand up against an off day, it would excel on a good day. One of the things I love about Edge Perfection is that it comes with a couple of shaker balls to keep the product thoroughly mixed. I've had other latex barriers go clumpy, but so far Edge Perfection seems to be in tip top shape. As you can see, Edge Perfection removed a good majority of the stamping around the edges of my fingers. It missed a few spots, but if you follow the cuticle clean up suggestion I posted in the tips section, you should have no issue with leftover nail art. The verdict? Edge Perfection is a winner in my book! It's easy to mix, apply, remove, and purchase. It's actually available in your local CVS stores. How rad is that?! To purchase Edge Perfection or to learn more about it please check out the links below. If you enjoyed this post you might like Pink Skulls featuring Morgan Taylor and Neon Roses featuring JulieG & Baroness X.